The B-Qubed bean bag is for extreme lounging. 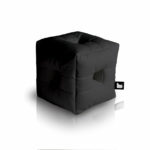 There’s so many uses for this cracking little luxury cube bean bag and so little time: TV remote storage, a safe haven for the game controllers, a comfy perch for liquid refreshment, an iPod holder…need we go on? 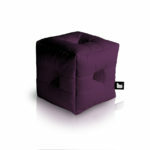 Just like it’s cousin the b-box, the b-Qubed cube bean bag is available in all of the B-bag colours. Made from easy to clean fabric, these beanbags are great as a foot rest stool and comes in a great size of 40x40x40cm.